We Haul Cheap Employs Movers Ready To Work! Home moving experts that guarantee your satisfaction with our moving services! We are a local company in Victoria striving to provide the highest value to our clientele! Who are we? Over the past twenty years, our crew has professionally moved hundreds of homes, commercial & residential buildings, many companies and more. We pride ourselves on not only being extremely efficient movers, but also providing exceptional moving service at the fairest and most reasonable prices of any moving company in Victoria BC. Looking for a last minute mover? We have flexible schedules and our movers will always be prepared to be there when you need us most. Possibly looking for a full-service long distance move? Or perhaps a partial-service short distance move? We have a dedicated team of movers ready to tackle commercial moving and residential moving tasks of any length, whether the distance is tiny or huge there is no job we cannot do. Do you need some junk removal service? In addition to being one of the best moving companies in all of Victoria we are also always ready and willing to come help you get rid of any unwanted trash that you might have. We can do all these things and a whole lot more because as our name would suggest, we haul cheap. ​ As an award winning company, we have achieved a 5 star rating on the Better Business Bureau, and earned multiple extraordinary testimonials that represent what we do with our business. How Far Does Our Moving Company Serve? ﻿ Our moving services are provided everywhere! Everywhere you can bring a truck of course, we don't have a plane yet! You name it! All the way up the island and all across the country! Regardless of your location, you can always rest assured that you will be receiving the same top quality service from We Haul Cheap LTD. We are always ready and willing to go wherever it is you might need our moving services. We are here to provide you with the best moving service in Victoria BC. 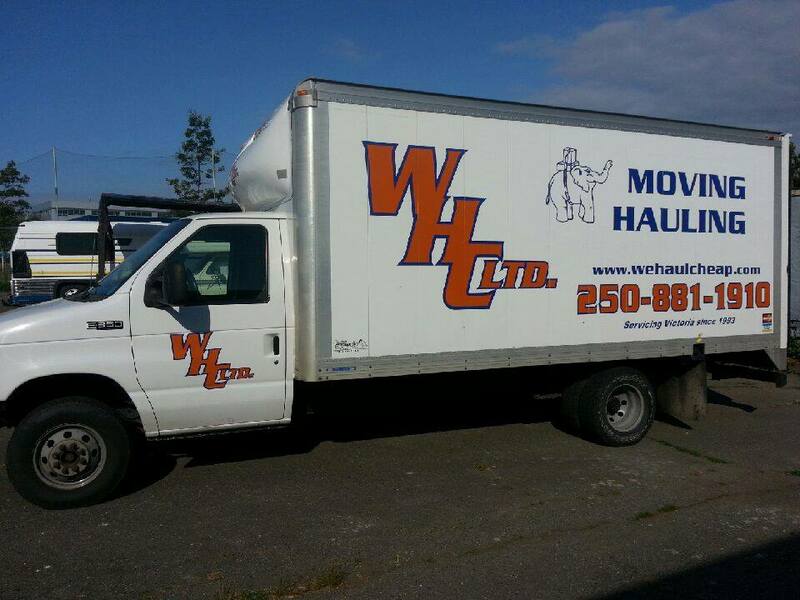 We Are A Moving And Hauling Company In Victoria BC You Can Count On! Contact us today for a free quote! Just fill out the contact form on our contact page or the free quote form at the top of the page. We will respond to you via phone or e-mail within 24 hours! Inexpensive Hauling Services In Victoria BC! ﻿ We provide the best and most affordable junk removal service in Victoria BC! Whether it's old furniture, appliances, construction, compost or waste, we're here for you! We will do all the loading and the clean up, as any good junk removal service should always do. Just as with our moving services, our goal with providing junk removal is to do so without any stress or inconvenience on your part. We will arrive when you need us, we will do the job correctly and efficiently, and we will always make sure that there is nothing left behind for you to deal with once the job has been completed. At We Haul Cheap LTD, we always guarantee a pleasant experience. 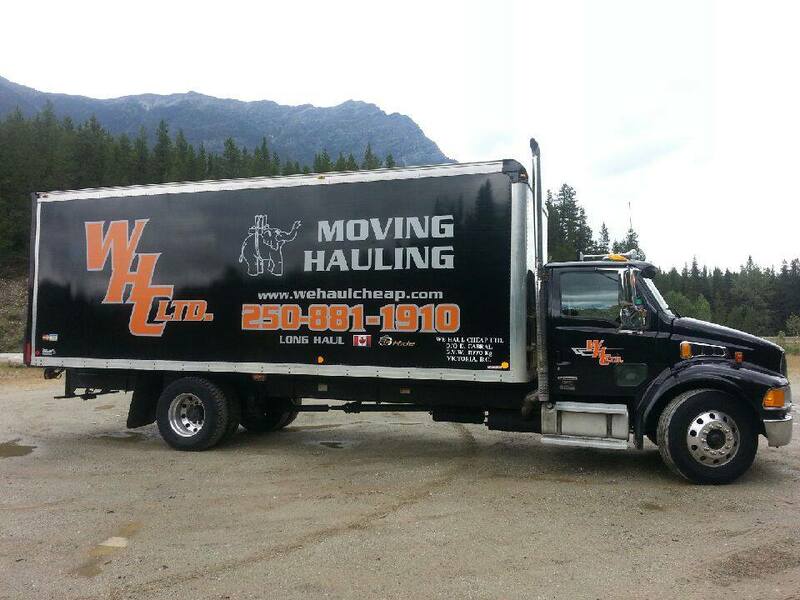 All it requires is a phone call (250) 800-3606 and a brief description on what we're hauling. Based on the volume we will give you a quote. Our eco-friendly junk removal service started out as a special favour we would do for our customers, as it was a popular request, but it evolved into one of the core services within our business. Now we are proud to be able to call ourselves one of the best junk removal company in addition to being one of the best moving companies in Victoria BC. When you move into your new home, sometimes a fresh start is ideal. You don't want your twenty year old beat up couch, it just doesn't fit, you just wanna get rid of it! That's why we're here. We can always provide a professional and efficient removal service regardless of what it is you need taken away. With any one of our moving services we give you our word that a smile will be put on your face! Call We Haul Cheap For Your Free Estimate Today! We Haul Cheap LTD Is A Moving Company That Treats You Right! Home Movers Dedicated To Helping Our Community! Customer satisfaction is always guaranteed to be a top priority with us. Whether we are moving houses, doing furniture moving, moving a piano or providing junk removal service, our main goal is always to perform our tasks in a way that leaves you with a smile on your face. Even more importantly, you want a moving company in Victoria BC that is reliable, effective and efficient. You want home movers that are going to take care of your belongings right? You've come to the right place. We always take care of all your items as if they were our own. When moving furniture or any other items that are important to you, We Haul Cheap LTD is dedicated to ensuring everything you want moved arrives at your new location in the exact same condition it was in when we loaded it. We know we are the top Victoria moving company because we have seen first hand how some other moving companies don’t treat their customers with the respect and care that they deserve. We ensure our skilled and friendly team of movers will not allow that to happen. We understand you want your furniture and belongings moved to your beautiful new home or office space professionally, and without hassle. All our movers are one hundred percent guaranteed to treat you with courtesy, always give you all of their maximum effort and only ever provide you with the best moving service possible. 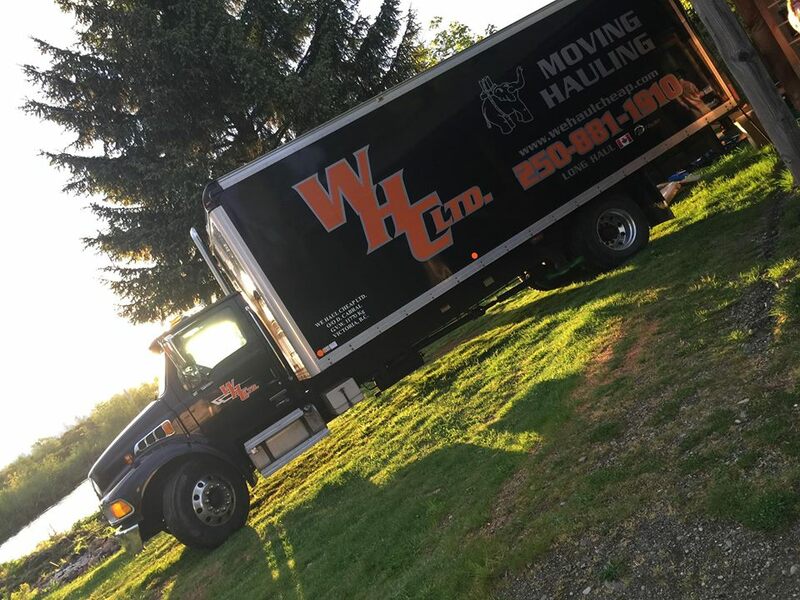 If you would like to see the best moving company with the most dedicated movers in Victoria BC at your doorstep give us a call at (250) 800-3606, we're very convenient and flexible. Moving Companies Come In Abundance, But We're Here For You! Free Estimates On All Of Our Moving Services! We have put a lot of time and money into providing quality equipment to serve our people! Striving to deliver the most affordable moving rates in Victoria BC puts us in a position where we can look at what we have done so far and smile. Have you been looking for the best moving companies? We do what's right for you, if you have any questions regarding our moving services we will happily answer all of them. We Haul Cheap LTD offers courier services to all those in need, click for a free quote below; we would love to work with you. Click Here To Call For Your Free Quote! In order to achieve the best possible results when moving, we obviously recommend bringing in the professionals from We Haul Cheap LTD to take care of your every need and make the relocating experience easy and stress free for you with our premium moving service. However, if you’re going to be trying to move on your own or if you just need to pack up some items in boxes for any reason here are a few free tips that we can recommend for you to make that process go as smoothly as it can. First off, we recommend that you use smaller boxes for heavier items and save the large boxes for light items such as cushions. If you have a huge box filled with items that are very heavy, then the chances of dropping or mishandling the box increase dramatically compared to if you had used multiple smaller boxes. Additionally, it just makes the whole process of moving or carrying the items harder than it needs to be. Making several small trips as opposed to one huge haul is definitely the way to go for big and heavy items. If you’re packing a box that has items of varying weights inside, then it is always best to put all the heavy things at the bottom of the box and put all the lighter items closer to the top. It is also important not to have too much free space in a box as items can shift around and take damage. Use packing materials such as bubble wrap or packing peanuts to fill the empty space if possible, but if you don’t have anything like that on hand you can use soft items such as towels or clothing as a substitute. Once your box is full and you want to tape it shut, a technique we recommend is taping not only on top to seal the box but also around the bottom in order to add additional fortification and prevent the box from coming apart. When you’re loading your packed boxes into a truck or van to be transported, you should always load the heavy items first and place them towards the front of the vehicle in order to maximize the balance. Organization is another key thing to focus on when making a move. It is best to not mix in too many items together from different rooms or parts of your home when packing up, that way when you need to unpack everything that goes together it will already be in the same place and you won’t have to spend extra time sorting everything. Another easy way to help you with organization even further is for you to label all the boxes that you pack so when you’re unpacking you can place everything where you want it the first time and won’t have to move items around again once you’re done. All of our moving trucks are serviced and maintained by professionals, ensuring durability and providing us with the ability to offer long distance moving at a price that will have you lifted. Short distance moving, junk removal service, commercial moving, you name it, our trucks help get the job done right the first time! We work with the top irrigation service company in Victoria BC, if you are in need of any landscaping services and are on Vancouver Island look no further for the best landscape/sprinkler service company. Irrigation Victoria provides locals with the highest quality of service and we have been recommending them to all of our clients for years! Home Movers You Can Trust, We Haul Cheap LTD Is A Moving And Hauling Company In Victoria BC That Brings Something Different To The Table! ﻿ Our home movers operate a moving company in Victoria BC that brings a special skill set to the table. Through decades of experience we have perfected the craft of moving fragile belongings across the country and across Vancouver Island. The methods we use to pack your personal items safely has enabled us to take on as much work as we can! We are expanding! Helping people is of the utmost importance to us and we dedicate our time to providing Victoria BC with the best moving company around. The techniques used with our moving company allows us to say that all your belongings will be surely taken care of and arrive on time! The ability to offer moving services at a rate that cannot be beat, We Haul Cheap LTD is one of Victoria's top moving companies and provides Greater Victoria with the best moving rates on the Island. Check out these Philadelphia Movers if you're ever in the area. They are a reputable company that trained us to deliver high quality moving service.